Kinetic typography, or moveable type, is the latest hot trend for designers looking to add energy to their websites and videos. Kinetic energy has evolved well beyond the days of comic sans flashing across a PowerPoint slide. Now, with kinetic typography generators and templates from Biteable, you can master this powerful technique with ease. Let’s jump into some kinetic typography examples and best practices. Kinetic typography is type that moves. It’s an animation technique that makes lettering shrink, expand, move in slow motion, grow, or change. Kinetic typography is a little more advanced than your average PowerPoint animation command. Recently, it’s become quite popular in web design as a background effect on websites and in web-based videos. When should you use kinetic typography? Kinetic typography is an amazing design tool, but, much like playing with fonts and colors, it’s easily overdone. It’s commonly used in design for websites and videos, and has the advantage of injecting a bit of fun into topics that might otherwise be a bit dry. Use kinetic typography to create emotional content, bring a character or scene of dialogue to life, and to capture someone’s attention. For example, when creating a character, animate you kinetic typography to move the way the character might be moving. If your storyline has a character running away from something, make your text race across the screen. If a character is shouting, you can make your text look like it’s growing and vibrating to indicate a loud volume. Get creative! Kinetic typography is much easier to show than to describe. You’ve likely seen examples of kinetic typography in pop culture or on YouTube. Here are some of our favorite kinetic typography examples to give you a sense of just how cool this design method can be! This kinetic typography video is inspired by a conversation on the TV show ‘Breaking Bad.’ In this clip, the main character Walter White argues with his wife that he’s a dangerous man capable of great and terrible things. Kinetic typography is used to capture and illustrate the intensity of the scene, with the words and animation carefully synced with each character’s lines. Kinetic typography is great for lyrics-based music videos. In ‘Shine a Light,’ animations and words pop with the beat, creating a lively, energetic, and attention-grabbing way to translate lyrics that were originally written in Japanese. This clip introduces the viewer to an internationally bestselling book, You Are Not So Smart, by David McRaney. The kinetic typography in this video leads the viewer through one of the main topics featured in the book, moving quickly and with enough variation that the viewer stays engaged to the very end. This video works well because the text flips, moves, changes size, and integrates with infographic-style images to keep pace with the narrator. Heather’s quirky and fun ‘Shop Vac’ music video takes the viewer on a journey. Using recognizable fonts, the kinetic typography in this video tells an adorable story of a family who can’t hear each other over the shop vacuum. Though this video is just under three and a half minutes, it took Heather between 500 - 1000 hours to complete! Kinetic typography that looks this good is no easy feat. Contrary to the other videos on this list, this kinetic typography video keeps it simple. The designer isn’t trying to sell or promote anything (other than his own design abilities). It’s a gorgeous, smooth, clean example of what kinetic typography can be - all through a simple rundown of the alphabet. Watch this clip for inspiration! Great news: you don’t have to be a certified graphic designer to add kinetic typography to your videos! Biteable has some amazing templates and kinetic typography generators to help you get started. This template makes it easy to integrate an infographic and some kinetic typography straight into your video. Make and edit an animated infographic video with this software, then download and publish it anywhere you like. The Art School template includes friendly and compelling font, matching icons, and warm colors to introduce your audience to your storyline. This template is great for breaking down complex topics that might otherwise be static, in a way that is engaging and simple. The Travel Tips template relies on a lot of animation, rather than words, to move through your storyline. If you have a lot to show and say in a short amount of time, use this kinetic typography generator to capture an audience, and draw them into your website or longer travel guide, for example. 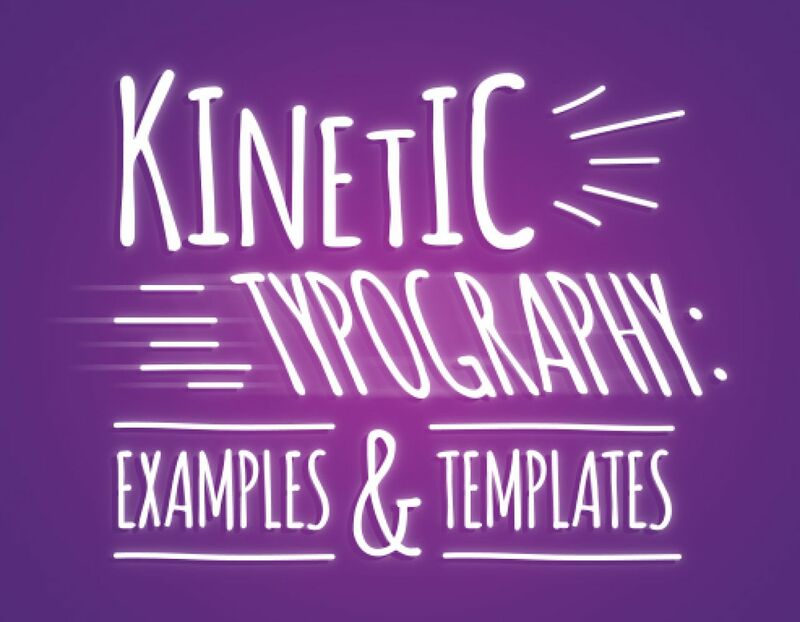 There are plenty more kinetic typography templates to be found on Biteable. Search the library to find the perfect match for your next video, and become a kinetic typography pro in the process!